Victor Hugo would have been surprised to know his 1862 novel had been transformed into a concept album. He would have been even more surprised to see his plot transformed into a musical stage adaptation, shown at the Palais des Sports in 1980 to popular acclaim. Hugo would have been thrilled, no doubt, to see the famous British theatre producer Cameron Mackintosh eventually turn it into a musical, inspired by the director Peter Farago, who thought the plot was dazzlingly good. But would he ever have imagined his story would go on to become the world's second longest-running musical, seen by literally millions of people across the world? Probably not. But he would have been proud. The London production has run continuously since October 1985, and that's extraordinary. Have you seen Les Mis yet? You'll love this seriously special version of Hugo's legendary story even more than the original thanks to an all-star cast that'll leave you gasping with delight. It's on for a limited 16 week season, and it stars some of the greatest stage singers of our times. 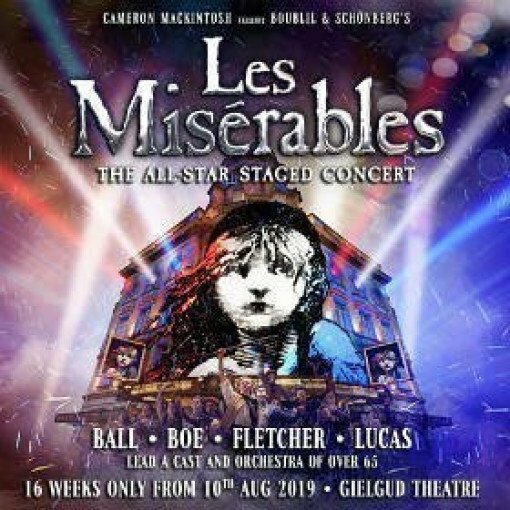 Michael Ball plays Javert, Alfie Boe plays Jean Valjean, Carrie Hope Fletcher plays Fantine, Matt Lucas is Thénardier and Katy Secombe is Madame Thénardier. Wow. By all accounts the staging is extraordinarily intimate, adding extra excitement to the experience. 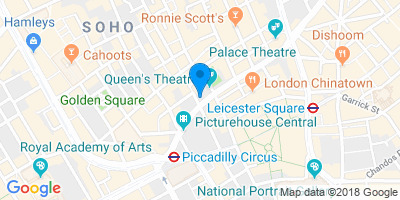 The cast and orchestra number more than 65, and it plays at the glittering Gielgud theatre, right next door to the current home of Les Mis, the Queen's theatre, from the second week in August. The show songs are just as fantastic as ever. Hearing them sung by such amazing voices is going to be mind-blowing. Tunes like I Dreamed A Dream, Bring Him Home, One Day More and On My Own will ring out from the stage in a way that's even more special than ever, and the plot will delight you just as it has thrilled millions before you. The story? It's the early 1800s and France has been in a state of revolution since May 1789. Valjean is a peasant who has ended up in jail for nineteen years for stealing a loaf of bread for a starving child. When he's finally released he breaks his parole and starts fresh, inspired by a Bishop's act of kindness. When he promises to adopt the orphaned girl Cosette, Valjean realises he has to be extra careful. But revolution is all around them, and the government is in crisis. These are dangerous times... very dangerous. Will they survive? Don't miss this very special occasion, a production that you'll remember for years to come.